Notes I shot this image over three evenings. I started with M31 centered in my camera but I felt that the image looked too crowded so on the next nights I divided the field in two and shot it as a mosaic. I also took some Hα filtered exposures. All of this data was aligned and combined to produce the image above. 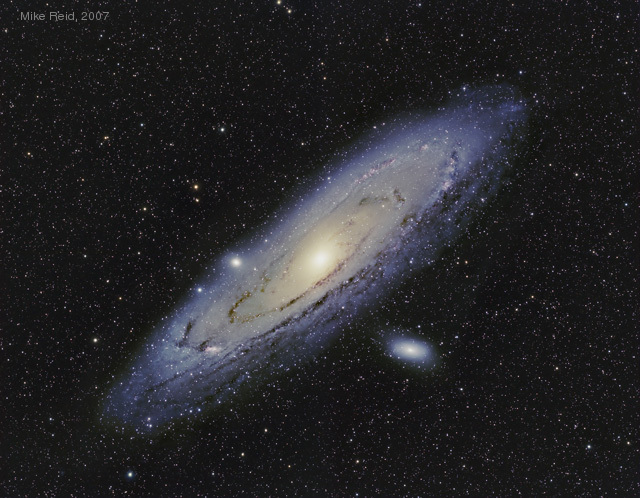 My previous attempt at M31 is here.